Your lives intermingle and somehow you know. 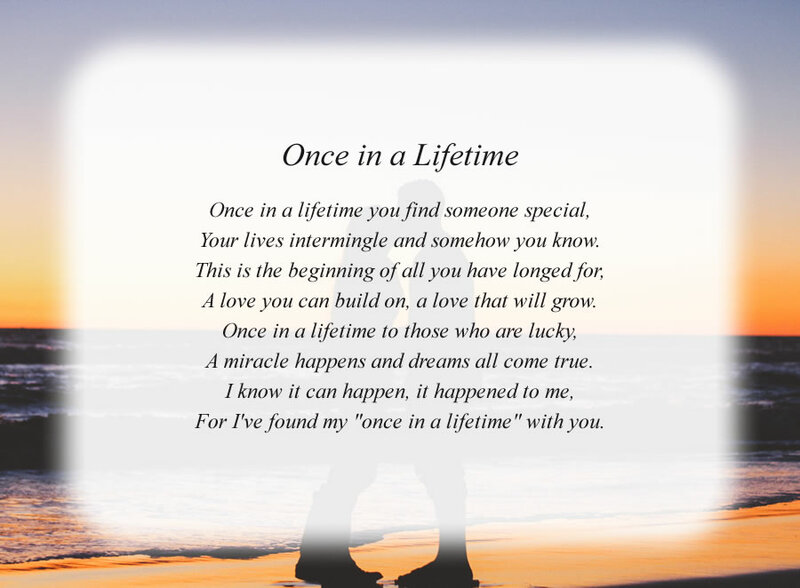 For I've found my "once in a lifetime" with you. The poem, Once in a Lifetime, is free and printable by opening or downloading using one of the three links below.